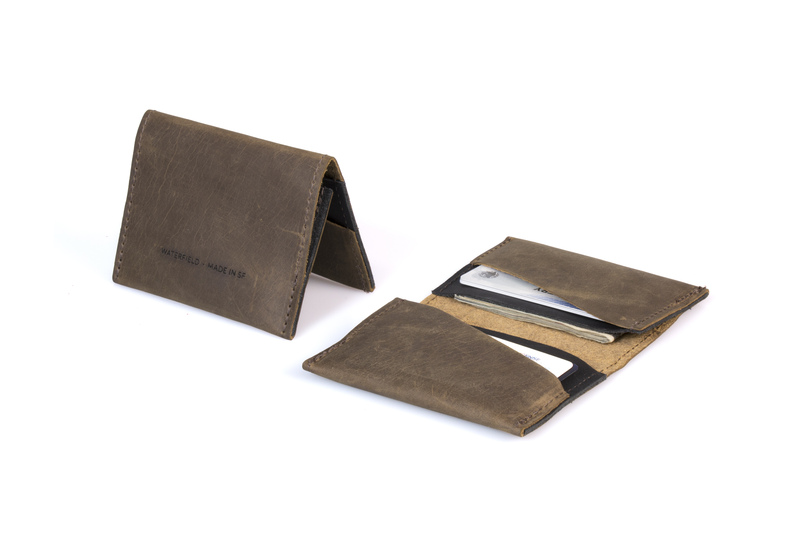 The Via, WaterField Designs' casual yet sophisticated new version of the classic leather billfold wallet, combines rugged full-grain leather that develops a beautiful patina over time with a streamlined design optimized for organization and convenience. We chose rugged leather and the kept edges and interior raw to create a casual yet sophisticated look that just gets better with time. 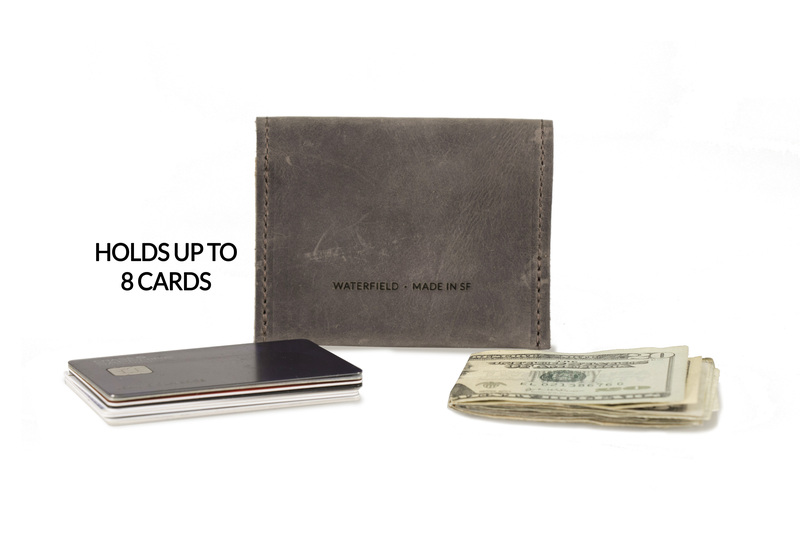 WaterField Designs announces the Via Leather Billfold Wallet, a premium leather wallet designed to facilitate organization and maximize capacity while remaining compact. 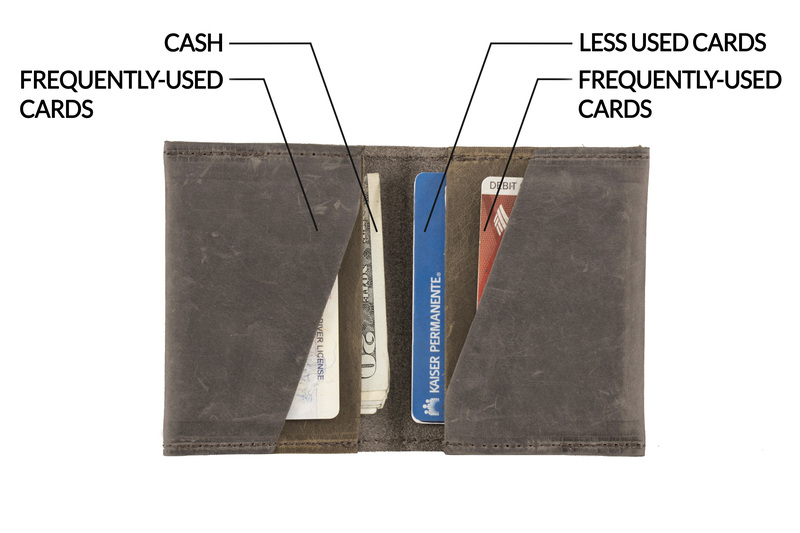 The Via minimalist wallet holds cash and cards organized into four-easy-to-access compartments with frequently-used cards in the front and lesser-used but essential cards in the rear. 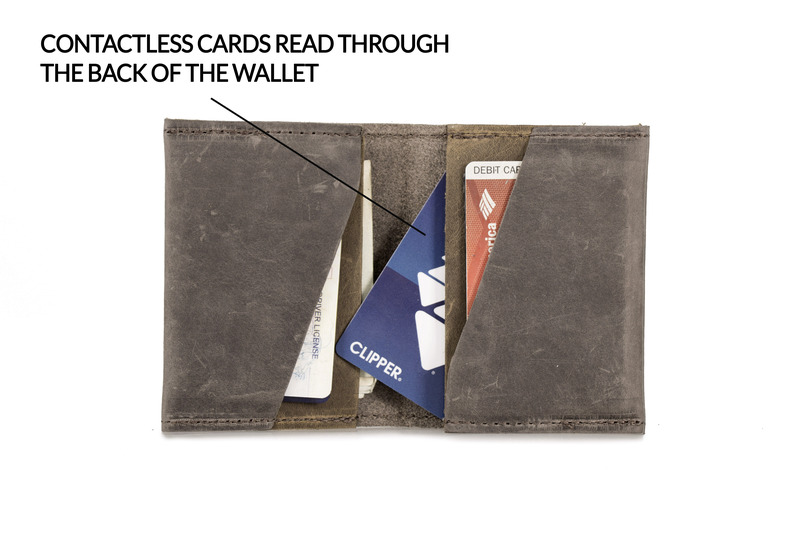 Metro and other contactless cards held in the back of the wallet can be conveniently scanned while remaining inside. 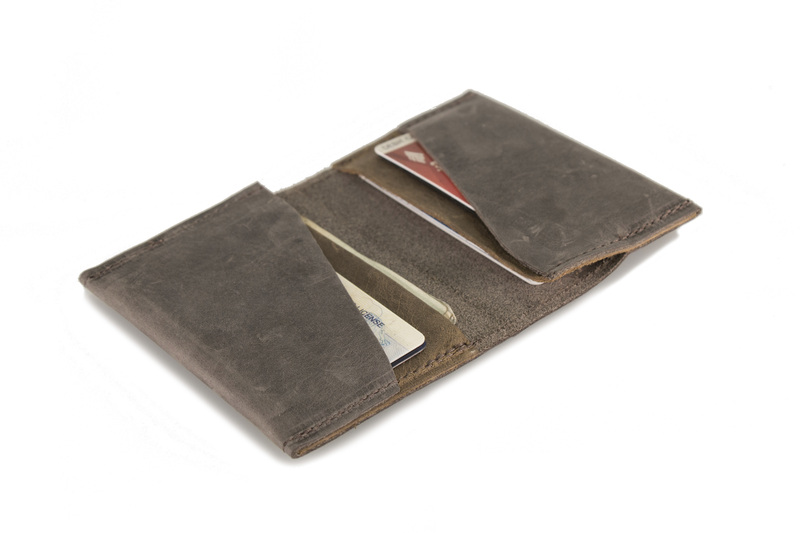 The Via's full-grain leather with subtle, raw edges portrays a casual elegance and develops a beautiful patina over time. "Today we carry a variety of cards - some that we use often like a driver's license or main credit card and others we rarely use but need to have with us, like health insurance and loyalty cards," explained Gary Waterfield, company owner. "The new Via lets me keep my most frequently-used cards easily accessible and the others tucked away. I keep my transit card in the rear pocket and just scan my way through without removing it. 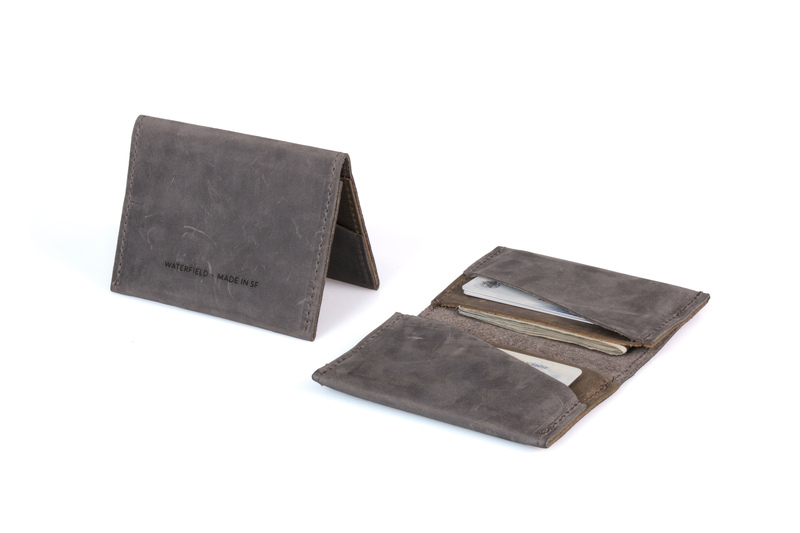 We chose rugged leather and the kept edges and interior raw to create a casual yet sophisticated look that just gets better with time." 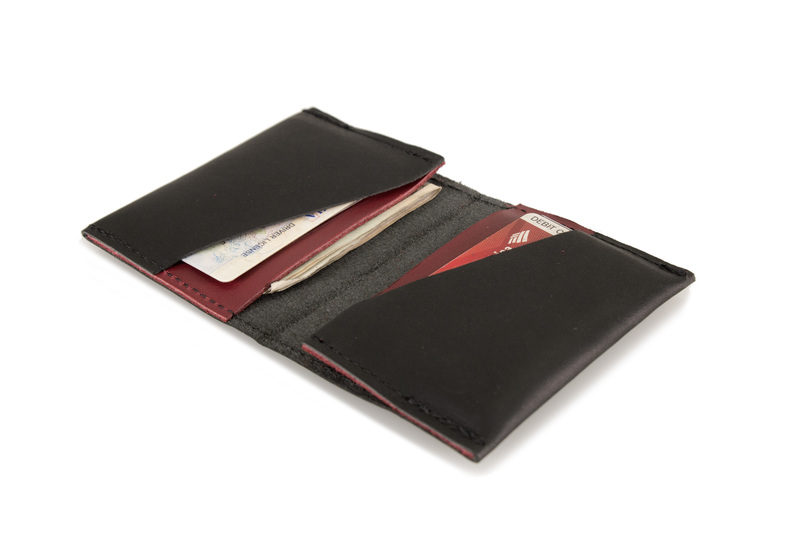 The Via Leather Billfold Wallet fits cash and eight cards, while remaining surprisingly compact. 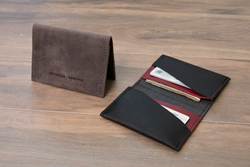 Available in three full-grain leather combinations - gray with grizzly interior accents, grizzly with black interior accents and black with red interior accents - the handsome Via wallet goes as well with a suit as it does with jeans. The premium leather with edges left natural combine for a refined yet relaxed look. 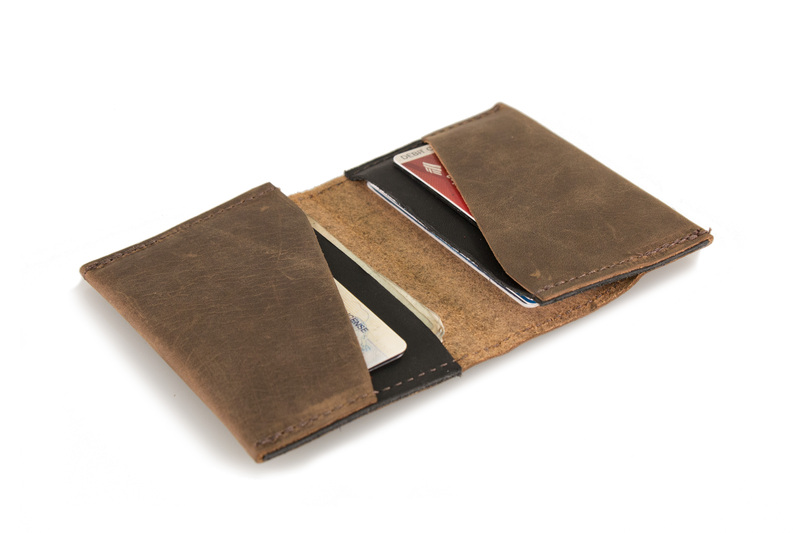 The wallet unfolds to reveal four organizational compartments, two on each side. 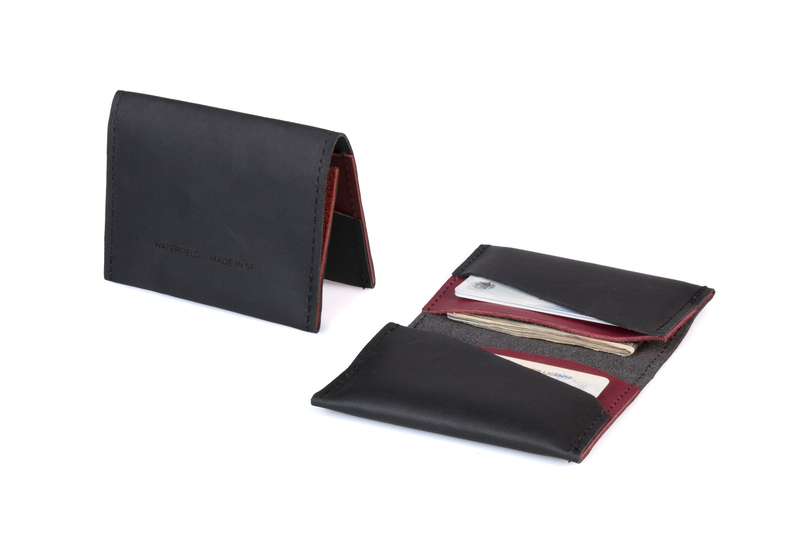 The front compartments offer quick access, and the anterior compartments are ideal for less-frequently-needed cards. 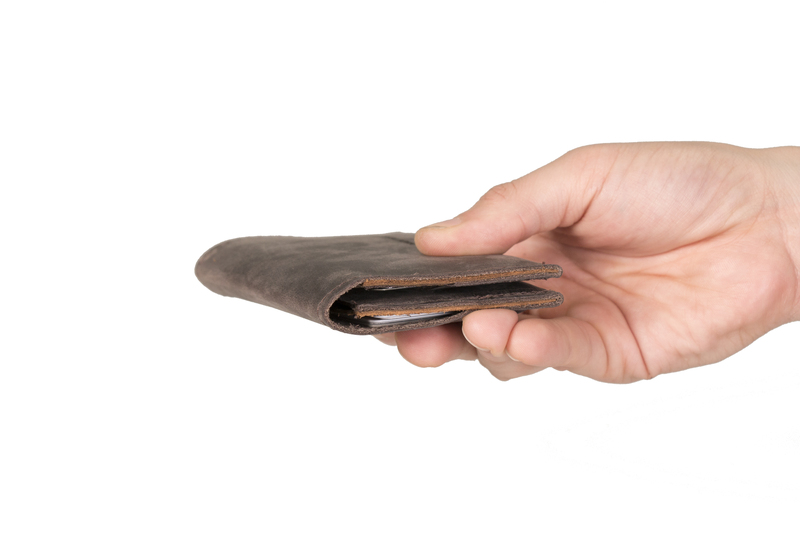 Commuter cards, tap-to-pay and keyless entry cards, can be conveniently used through the rear of the wallet. 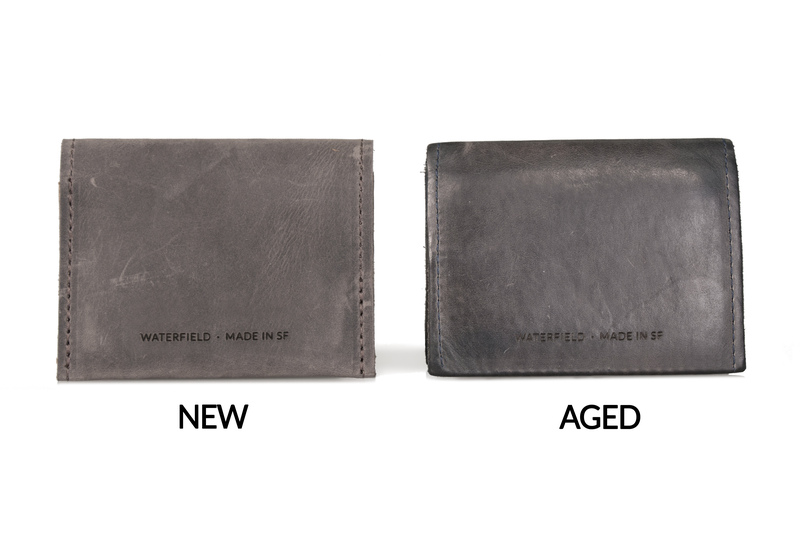 The Via joins the WaterField Designs' leather wallet line that includes the newly-upgraded Finn and Finn Access zippered wallets in a range of sizes to carry the iPhone X, a passport, or foreign currency. The company's commitment to manufacturing in San Francisco, its dedication to quality, and its unusual devotion to customer service, has resulted in a loyal customer following for the past twenty years. Colors: Gray distressed leather with Grizzly distressed leather interior accents; Grizzly distressed leather with Black oil-tanned leather interior accents; and Black full-grain leather with Red oil-tanned interior accents. Weight and dimensions: 1.7 oz. ; 4 1/8 x 3 ¼ inches. 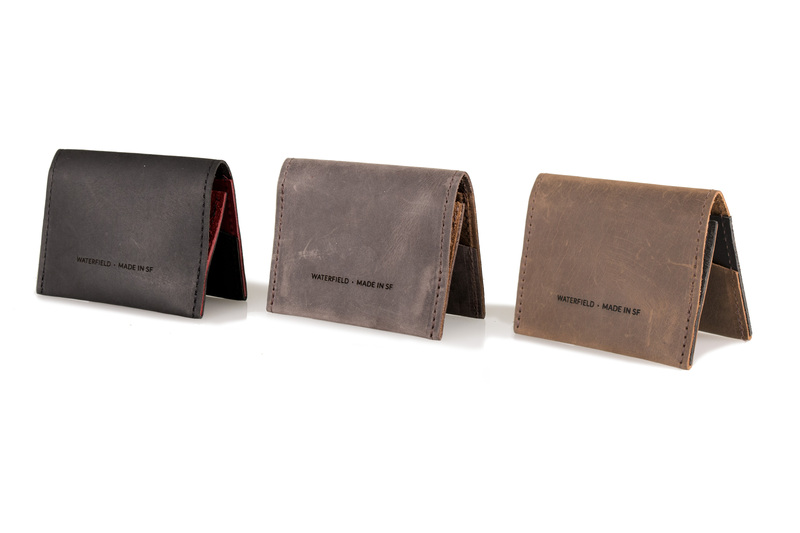 The Via wallet is available for pre-order now and begins shipping this Thursday, February 8. 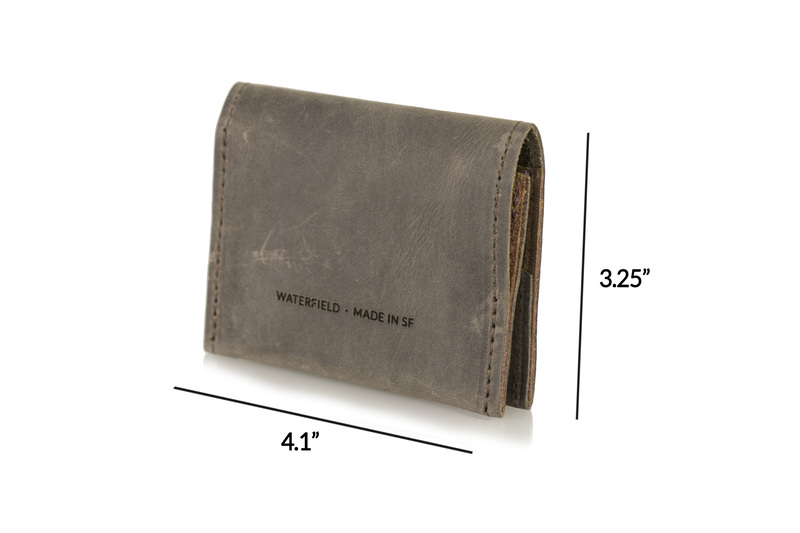 WaterField Designs manufactures custom-fitted, high-quality cases and bags for a full-range of laptop computers, tablets, smartphones, and other digital gear. All products are manufactured to exacting standards entirely in San Francisco, in the heart of the city's Maker District. More company information is available at "Our Story". 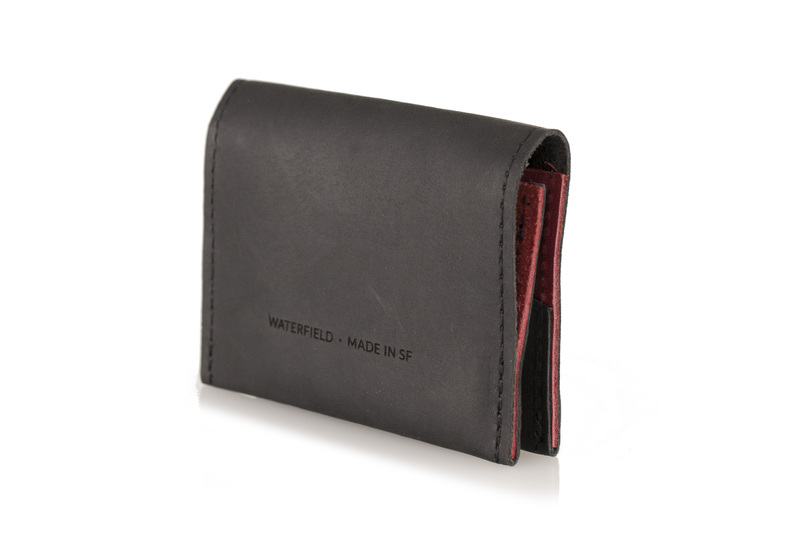 WaterField Designs Via Wallet and Finn Wallet are trademarks of WaterField Designs. Other company and product names may be trademarks of their respective owners. Copyright ©2018. All Rights Reserved.